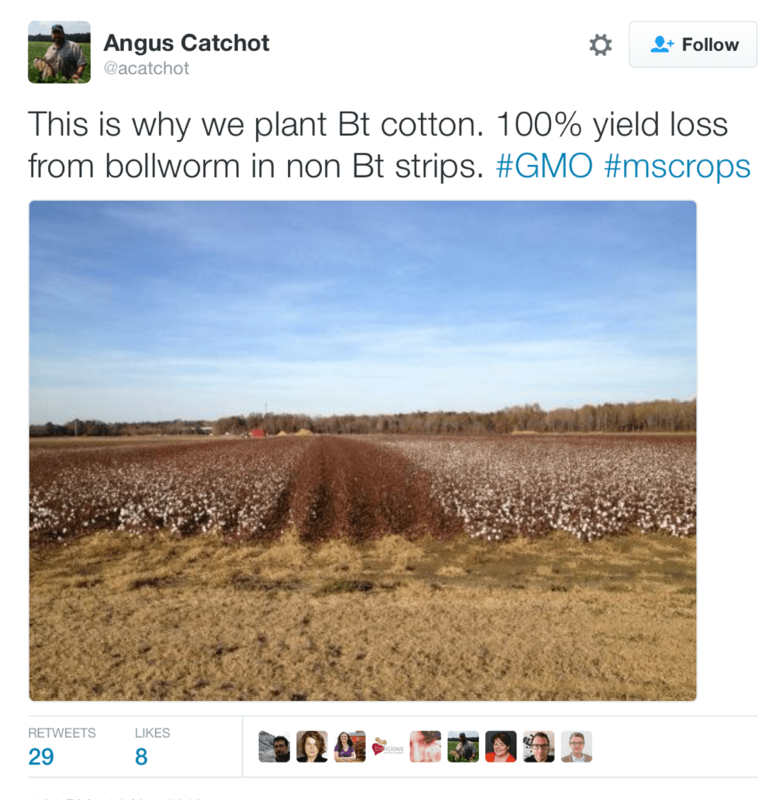 Farmer’s view: Celebrities embrace organic cotton over GMOs, but is it more sustainable? In 2016, Hollywood actress Emma Watson was spotted on the red carpet wearing a beautiful gown designed by Calvin Klein in collaboration with the green consultancy Eco-Age. The goal was to create an ensemble that could be worn many ways and was truly environmentally sustainable. A majority of it was made from recycled plastic, while the bodice was made from organic silk and organic cotton. “Every part of this gown has been produced with sustainability in mind,” Watson said. Well, not exactly. 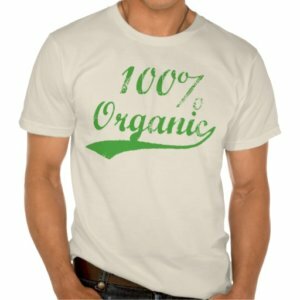 As a farmer, I sometimes feel like “sustainability” is the current new fashion trend of marketing buzzwords. The dictionary defines it as “conserving an ecological balance by avoiding depletion of natural resources.” But when conserving natural resources, it’s important to understand what that really means. Let’s talk agriculture, cotton specifically since Watson brought it up. Is organic cotton really better for the environment as she claims? To find out, I reached out to the Texas Organic Marketing Cooperative. What I found was that organic cotton can be a very risky business, which is part of the reason it commands a higher price. 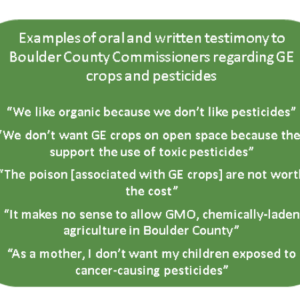 There is a common misconception that growing organic means “pesticide free.” Although many organic farm operations do in fact use pesticides, it is particularly true that organic cotton farmers generally do not. Ninety percent of the organic cotton grown in the U.S. comes from this small region in Texas because it is fortunate enough to have the ideal growing conditions: 15 inches of annual rainfall, higher elevation, light soil and wind. These conditions conditions do not occur in a majority of the cotton belt, however. Yellow indicates states that grow cotton. Size of picture indicates states’ share of total US cotton production. “Cotton is a very sensitive, slow growing crop because it is a tree that is cultivated in wide rows to accommodate the machine pickers. Given its sensitivity, it is extremely important to eliminate weeds in the first six weeks or your yields can go to zero,” Kator Hake, vice president of Agriculture and Environmental Research at Cotton Incorporated, told me. Since organic cotton growers do not use synthetic herbicides, weed control is a huge issue. Each row must be cultivated every time there is any type of moisture or light rain. Sometimes farmers need to be out in the dark with a flashlight just to monitor their crops, almost like farming back in the 1950’s. These methods are heavily dependent on tillage, tractor passes and rotary hoes. Sometimes tillage and cultivation needs to be done two to three times per week! This means much more fuel emissions, wear and tear on equipment, with a higher carbon footprint. Insects can have devastating effects on cotton farms, but organic farmers are limited on what insecticides they can use. There’s not much they can do if insects invade their fields. This can lead to 50 percent or greater losses in yields and a lower quality fiber. The crops may also need more irrigation, thus requiring more resources. Since they don’t use synthetic fertilizer, they can’t compete with plant growth and quality of modern production methods. There are some insecticides approved for organic such as neem oil or Bacillus thuringiensis, also known as Bt. While organic farmers spray their crops with Bt, farmers who use genetically modified cotton seeds have the natural Bt built in, reducing their spraying to almost nothing. Plant scientists engineered this solution about 20 years ago using transgenic technology. Before this solution existed, farmers were always struggling to control insects such as cotton bollworms, boll weevils, pink bollworms, etc. These worms used to require heavy spraying and the USDA had to roll out an entire program to eradicate the destructive boll weevil. Bt technology has been so popular among cotton farmers it is now used on 94 percent of U.S. cotton farms. Farmers no longer have to spray their crops with messy toxic chemicals multiple times a week. India has adopted Bt cotton as well, and it’s usage has grown from nothing 15 years ago to more than 90 percent today. Why? Entomologists, like Mississippi State University’s Angus Catchot, say because it works! I spoke to Randy Boman, Research director and cotton extension program leader at Oklahoma State, to learn more. 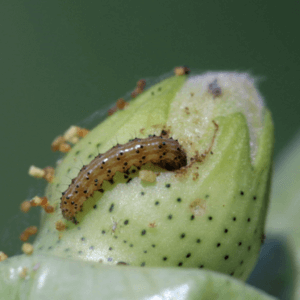 Since the advent of Bt, upland cotton yields in Oklahoma have doubled in the past twenty yearsBoll weevil eradication has also made a significant impact with this. We are utilizing better weed control and are breaking records in fiber quality, insecticide use is down at least 50%. The genetics perform so well under drought conditions and plant breeders understand that. Conventional cotton is one of the highest impact crops, using more chemicals than any other crop in the world. Organic cotton, on the other hand, is grown without the use of the most harmful chemicals and is therefore better for the environment and people working with cotton. If organic gave us all the answers, I’m pretty sure we’d be growing it. Is she really looking at the total sustainability picture? To answer that, let’s look at the scenario from a global perspective. Imagine the world is an apple. Cut it in half, and then cut it again until you have it in 32nds. One of those pieces is the land we have for agriculture; the peel on that piece is the topsoil that feeds and clothes us all. It takes about a hundred years to build an inch of topsoil and a bad storm on the weekend to destroy it. One of the biggest beneficial impacts we can have on the soil is to not disrupt it, by using no-till methods, cover crops, crop rotation, etc., which we use on our cotton fields. These methods of conservation can substantially reduce runoff and erosion, but avoiding tillage could not be possible without the use of herbicides. It seems as though today, chemophobia among consumers is a popular way to sell a product. But all farmers are licensed and trained to use crop protectant products. Most use it responsibly to protect people, including their families, and the environment. The average acre of conventional cotton yields about 1.5 bales per acre, or approximately 800 pounds, depending on the region. Each bale goes through tight quality checks and inspection at the regional USDA-AMS classing office, and no matter how the crop is grown, the pesticide residues are still zero, or not detected. You can read the peer-reviewed evidence of this here. In my opinion, it’s a shame when celebrities use their voices intending to help the environment but what they promote may actually be counterproductive. Maybe if Watson and Calvin Klein wanted to make a sustainable Eco-Age dress, they could’ve used the finest high quality genetically engineered cotton. Let’s not forget to include farmers in the discussion.